Got a question about how we’re organised, applying to work for us, or looking for financial or shareholder information? View our commonly asked questions. We’re committed to promoting social and economic development in our markets through our core business of banking. We focus on three priorities: contributing to sustainable economic growth, being a responsible company and investing in communities. View our Sustainability homepage for further details. Do you offer Islamic banking services? Yes. We offer a full suite of Shariah-compliant banking services and we pride ourselves on our partnerships with leading Islamic theologians and experts. To find out more, please visit the Islamic Banking section of our website. How do I find out more about Standard Chartered? Head to the About us section of our website to discover more about our history, what we do and much more. Keep in touch with upcoming events around the globe by following us on Facebook, Twitter and LinkedIn. Want to ask a specific question? Just visit our contact us page and send us your details. Our footprint stretches across Asia, Africa and the Middle East, and our reach is truly global. To find out if we operate in your country, just visit our locations page. You can also find more information on individual branches by visiting our local website in your country. Where can I get shareholder information? You can find all the information you need on our dedicated shareholder page. Visit Standard Chartered at a glance for more information on global employee numbers and more. Where can I get the latest corporate news and financial reports? Visit our media centre for the latest news on Standard Chartered. Go to our Financial results page to see our latest financial reports. Who should I contact if I need technical support? If you need technical support, please visit our contact us page and give us specific details of the issue so that we can help you as quickly as possible. I had a problem completing the online assessment. What should I do? You should be able to return to your assessment by clicking on the link in your original email invitation. Alternatively, you can copy and paste the URL from the email into your web browser. If you still can’t return to complete the online assessment, please contact us sharing the exact details of the problem, including any error messages, so that we can help you to resolve this issue as quickly as possible. For security reasons, if you have three unsuccessful login attempts in any one session, our system will lock you out. If this happens, please wait a few hours then try again. If you were locked out of your account because you forgot your username and / or password click on the Forgotten Password link on the registration page. This will take you to the Login Help section where you will be able to set a new password or find your username. If you’ve forgotten your username and/or password, just click on Forgotten Password on the registration page. This will take you to the Login Help section where you will be able to obtain a new password or find your username. To apply for an internship, please visit our graduate site. What graduate programmes do you have and how do I apply? For all our graduate opportunities and information, please visit our dedicated graduate site where you can also find frequently asked questions on our graduate programmes, entry requirements, application details and much more. How often are new roles posted on your Careers site? New roles are posted on our Careers site as they become available. Please check back regularly to find roles that suit your skills and experience. What will happen after I apply for a role? Once we receive your application, we will review your details to see if your skills and experience are a good fit for the role you have applied for. If so, a member of our Talent Acquisition team will get in touch to discuss next steps. You can read more information about our hiring process here. If your application is unsuccessful we will keep your details on file in case other suitable opportunities arise. Can I search for similar jobs next time I visit the Careers site? The best way to search for similar jobs each time you visit is to register on our Careers site. In doing so you will be able to set up and save job searches, upload and save attachments such as your CV / resume and a cover letter, and apply for roles that interest you. How do I register to apply for a role? Go to Careers application site, select the role you’re interested in applying for, click Apply Now and then select Register Now. Why do I need to register on the Standard Chartered Careers site? There are many benefits to registering on our Careers site. You can apply for roles, save and view your applications, set up and save job searches, and upload and save attachments such as your CV/resume and a cover letter. After I submit my application will I receive a response? Once we receive your application, we’ll review your details to see if your skills and experience are a good fit for the role you have applied for. If so, a member of our Talent Acquisition team will get in touch to discuss next steps. You can read more information about our hiring process here. If your application is unsuccessful we will keep your details on file in case other suitable opportunities arise. To apply for a job with Standard Chartered, you need to register on our Careers site. Head to the page, select the role you’re interested in, click Apply Now and then select Register Now. What format should I submit my CV / resume in? The preferred file format for submitting your CV / resume and cover letter is .doc or .rtf, with a maximum file size of 200KB. How do I submit my CV / resume? You can submit your CV to apply for a specific role, or search for a role. You can search by department and/or location. If you find a role you’d like to apply for, just follow the step-by-step application process. Does Standard Chartered have a dividend reinvestment plan? We don’t have a dividend reinvestment plan, however we do offer a scrip dividend which is a share dividend alternative to a dividend reinvestment plan. Details of recent cash and share dividend offers can be found on the dividend information page. If I have any queries about the dividend arrangements or completing the forms, how can I contact your registrars? Standard Chartered’s registrars are Computershare Investor Services PLC. See the question ‘Who is Standard Chartered’s registrar?’ for details of how to contact them. Can I receive my dividend circular in another format? Yes, an audio version is available on CD. If you want an audio version, please contact our registrars with your full name and postal address. See the question ‘Who is Standard Chartered’s registrar?’ for details of your nearest registrar. Fewer companies are offering share dividends. Why do you continue to offer this option? We regularly review our dividend policy and at the moment we still think it’s appropriate to offer shareholders share dividends as an alternative to cash dividends. Can overseas shareholders elect to take the share dividend? Generally speaking yes, providing our invitation to take the share dividend option is compatible with where you live, without us having to meet any legal or registration requirements. What do I do if I have not received my dividend document and election form? Please contact our registrars. See the question ‘Who is Standard Chartered’s registrar?’ for details of your nearest registrar. How does the share dividend facility work? As a shareholder, you can elect to receive new shares instead of cash dividends. Full details of cash and share dividend arrangements, together with the necessary election forms, are sent out well in advance of the final and interim payment dates. How do you calculate the price of a new share under the share dividend offer? We calculate it by taking the average of our closing share prices on the London Stock Exchange for the five dealing days from when the company’s shares were first quoted ex-dividend. The average share price is then converted from pound sterling into US dollars using the exchange rate quoted by Standard Chartered on the fifth dealing day. Using this calculation period means we can tell you in your election form both the offer price of the new shares as well as the number of new shares you’ll be entitled to receive instead of the cash dividend. Do you offer a scrip or share dividend as well as a cash dividend? To date, we have offered a share dividend as an alternative to a cash dividend. Details of recent cash and share dividend offers can be found on the dividend information page. Can my dividends be paid directly into my bank account? Yes. But the dividend currency has to match the country where the payee account is registered. Why don’t you offer dividend payments in euros? We regularly review our dividend policy and believe that the currencies we currently use to pay cash dividends are the ones that best suit the needs of our shareholders. What currencies do you use to pay cash dividends? We offer a choice of pound sterling, Hong Kong dollars or US dollars. If you’re on the Hong Kong register, the default currency is Hong Kong dollars. We usually pay our dividends in May and October. Details of the exact dates each year are sent to shareholders nearer the time and posted on our shareholder information page. You can find details of upcoming events including results releases on the Investor Relations section of our website. What is Standard Chartered’s fiscal year? Our fiscal reporting calendar runs from 1 January to 31 December. When is the close period for Standard Chartered PLC? We have two close periods each year, when we do not host meetings with investors or analysts. One is from 1 January until the announcement of our full year results (usually in February or March). The other is from 1 July until the announcement of interim results (usually in August). We also have brief close periods just before releasing our quarterly interim management statements in April and November. Where can I find details of Standard Chartered’s debt securities in issue? You can find details of our debt securities in issue in the Investor Relations section of our website. What is Standard Chartered’s Common Equity Tier 1 capital ratio? The Investor Relations section of our website has all the information you need on our most recent financial performance, including capital. Please note, you’ll need to read and accept the disclaimer before viewing the capital ration information. Who are Standard Chartered PLC’s independent accountants? We work with KPMG Audit PLC for all our accounting needs. Where do I find out about Standard Chartered’s credit rating? Visit our Credit Ratings and Debt page for all the information you need on our Group credit ratings. When and where was Standard Chartered incorporated? Standard Chartered Bank was incorporated in 1853, and Standard Chartered PLC was incorporated in 1969, both in the UK. You can find out more by heading to the History section of our website. How do I transfer stock, change my shareholder account address or replace a lost stock certificate? The company’s share registrars will be happy to help if you have a question. See the question ‘Who is Standard Chartered’s registrar?’ for details of your nearest registrar. 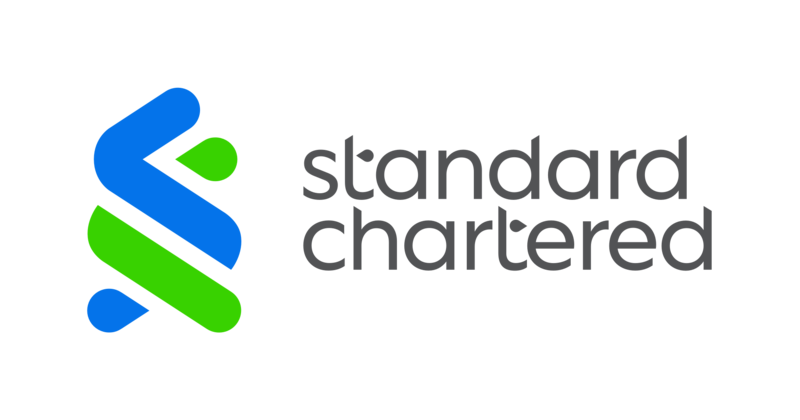 What is the Standard Chartered PLC stock symbol? Who can I contact about stock questions? Where is Standard Chartered stock traded? Standard Chartered ordinary shares are listed on the London Stock Exchange and Hong Kong Stock Exchange. Our Indian Depository Receipts (IDRs) are listed on the Bombay Stock Exchange and National Stock Exchange of India. Ten IDRs represent one ordinary share. Who can I contact about investor enquiries? Shareholders will be sent a print copy, if their preferences are set to receive one. You can view the annual report summary online. These can be found in the Investor Relations section of our website. If you’re unable to attend in person, you can still get your views heard. If shares are registered in your name, we’ll send you a proxy form before the meeting, allowing you to vote for or against each of the items (also called ‘resolutions’) on the agenda. You can also use the form to appoint the AGM chairman to cast your proxy vote in the way you want, or to vote on your behalf at their discretion. Alternatively, you can nominate someone else to attend the meeting and vote for you as your proxy. If your shares are registered in someone else’s name, they’ll receive the proxy form. The AGM reviews Standard Chartered’s performance over the past year and gives shareholders the opportunity to ask questions and vote on key issues. These include the approval of the annual report and accounts, the election of directors and the re-election of auditors. Shareholders can ask questions relating to items on the meeting agenda, as well as general questions about Standard Chartered and its activities. There may also be special issues to vote on. AGMs are generally held in May each year. Head to our Investor events page for more information on upcoming events. Yes, shareholders will be invited to attend our Annual General Meeting (AGM) every year. If there’s a particularly important matter that can’t wait until the next AGM, shareholders may be called to an Extraordinary General Meeting. What is Standard Chartered’s official accounting currency? Our official accounting currency is in US dollars. This is because most of our business is carried out in US dollars or currencies linked to the US dollar. When will Standard Chartered report its next set of financial results? All upcoming announcements and events are listed on the Investor Relations section of our website. How many shares does Standard Chartered have in issue? We issue a ‘Total Voting Rights’ announcement once a month which gives the number of ordinary and preference shares in issue. You can view recent London Stock Exchange announcements on the Investor Relations section of our website. Where can I find stock exchange announcements released by Standard Chartered? You can view recent London Stock Exchange announcements on the Investor Relations section of our website. Is it possible to receive documents from Standard Chartered in Chinese? Chinese documents are available to shareholders who are registered in Hong Kong. For more information please contact Computershare Hong Kong Investor Services Limited . Where can I get shareholder information online? You can get details of your current holdings, dividends and other shareholder information through our registrars’ websites. You can also register to receive email updates when shareholder documents are available instead of receiving printed documents. Who is Standard Chartered’s registrar? You can contact them by calling the registrars’ helpline on +44 (0) 870 702 0138 between 9pm and 5pm, Monday to Friday. Please contact our registrars for all shareholder queries. How do I buy and trade shares? You can buy and sell our ordinary shares through a financial adviser or stockbroker, a bank or building society, or share shops that offer a similar service. The commission charges for buying and selling shares will vary depending on the organisation. What anti-fraud information should I be aware of? As an investor, you should be aware of common investment scam tactics in the market. The scams usually start either by receiving a brochure in the mail, or a sales representative making contact via phone or email. Hard sell tactics will be employed to pressure the victim into a transaction; for example, the shares will be offered at a low price valid for a very limited period, with guaranteed high returns, and payments must almost immediately be made to an offshore account. Fraudsters have known to offer fake Standard Chartered Bonds in this manner, asking payments to be made to an account in Hong Kong. To prevent yourself from falling prey to such scams, it is always advisable to validate the authenticity of the offer by checking the registration of the individual selling you the shares, or contacting the company whose shares are being offered. If you are in any doubt, check with your own bank’s fraud team before investing. For more helpful tips on protection against investment fraud, visit the US Securities and Exchange Commission or the UK Financial Fraud Action websites. If you suspect you or someone you know, may have recently fallen prey to investment scams, contact the transacting bank immediately to attempt to stop payments from being made. Got a question about your account or a product, or want to know how to work for us?